Written by Wesley Y. and Patty Y. 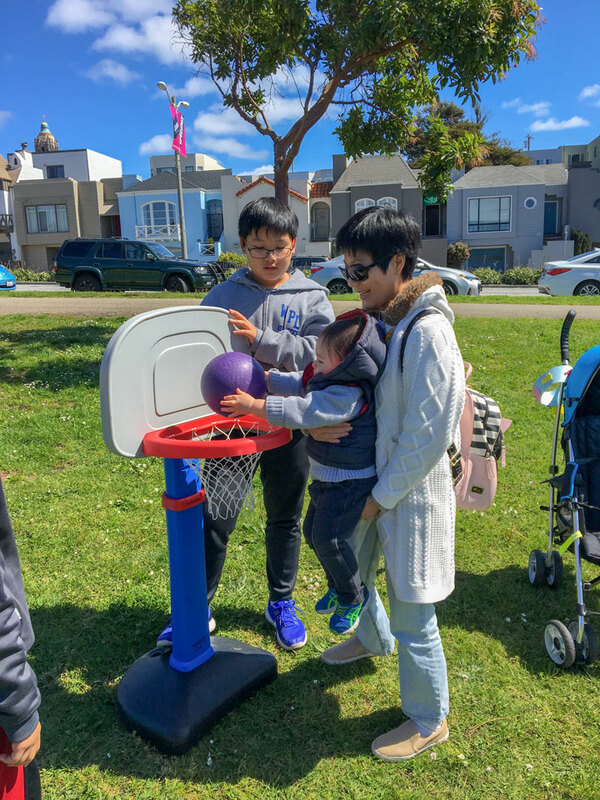 Photos by Julie T.
On Saturday March 24th, Sunset Church partnered with Mobilize Love to host an Easter Egg Hunt outreach event in the Sunset District of San Francisco at Larsen Park. 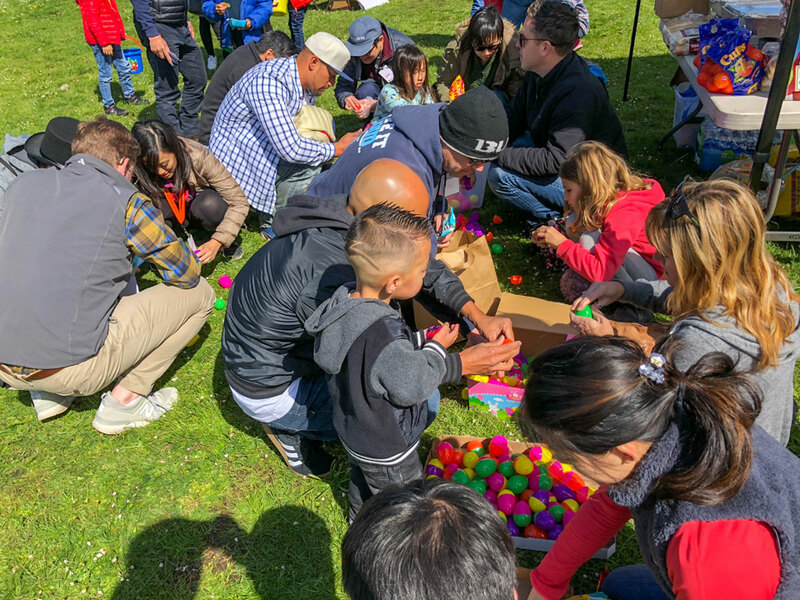 It was a carnival-style event which included bounce houses, games, a photo booth, haircuts, food, balloon animals, prizes, and the Gospel message. In the spirit of Easter, our heart was to let the community know that the local church is present and here with open arms. We wanted to create a fun and welcoming space for the community to gather and experience the love of God in a tangible way. We were blessed with an overwhelming turnout of children and young families who came to participate in the festivities. It was amazing to see the body of Sunset Church and the Mobilize Love team come together to put on this community event. This was the first time Sunset Church has hosted an outreach like this so we had no idea what to expect in terms of how many people would show or how many volunteers would be needed. God provided just what we needed. We could not express our gratitude enough for all the volunteers that came out and helped with everything from setup, running all the booths, serving food, break down, and everything in between. We were so encouraged by the church sacrificing their time and energy to share the joy of the Lord with our community. God’s hands were clearly over every detail. There was so much that could have gone wrong, but He provided everything we could have asked for and so much more. He brought the planning team together, provided the volunteers, gave us all the supplies we needed, gave us favor with the school district to advertise in three Sunset elementary schools, and allowed the Gospel message to be proclaimed to many listening souls. He even provided us with beautiful sunny weather even though it was forecasted to rain all day earlier in the week! We continue to pray for the people that attended to have at least a glimpse of God’s love through their interactions during the event. We pray our hearts with continue to be burdened for our neighbors who have yet to hear more about Jesus.